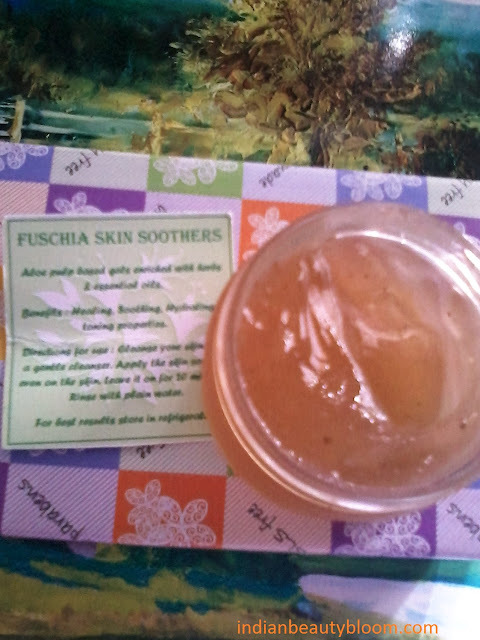 Today I am going to review one more product from Fuschia , its Citron Orange Skin Soother. Fuschia is a Famous brand from VkareBioscience which prepares natural skin care products . 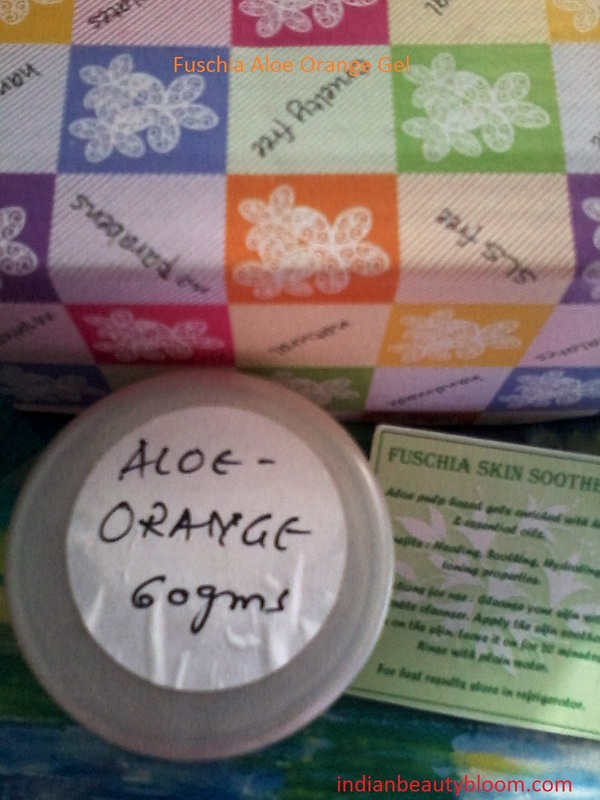 This Citron Orange Skin Soother is a type of Summer Soother Gel . It contains pure Aloe pulp , Orange peel powder , Sweet Orange essential oil , Vitamin E .
So all natural ingredients and no chemicals . The product claims to moisturize the skin , safe guard the skin from sun damage and sun burn , heals acnes , reduces fine lines , lightens spots , brightens dull skin . I have used this product and i liked it . Its good and very easy to use . Its a light brown colored gel with a nice citrus fragrance . One needs to apply this on clean face and leave it for 20 minutes then wash it off with plenty of water. After drying it looks like Peel off mask but it is not a peel off mask , one just needs to wash it off with water , it makes the skin clean , hydrated and smooth . 1.Does not contain any harsh chemicals . 2.Contains aloe pulp which moisturizes the skin . 3.Orange peel powder brightens the skin . 5. Paraben and SLS free.